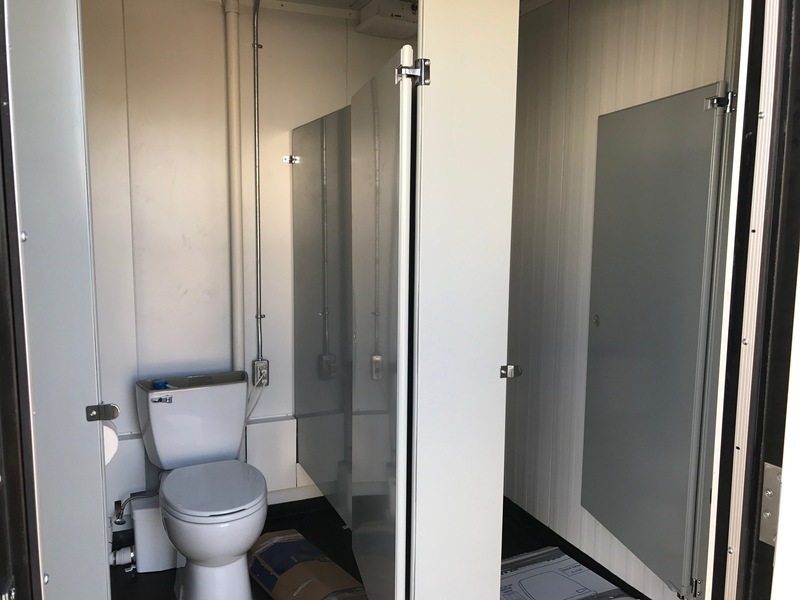 This 20′ custom washroom unit is fully self contained. The men’s room includes two toilet stalls and one urinal along with a stainless-steel sink. The women’s washroom consists of one toilet and a stainless-steel sink. Both men’s and women’s are fully heated and vented and come with hand towel dispensers, mirrors and on demand hot water tank. 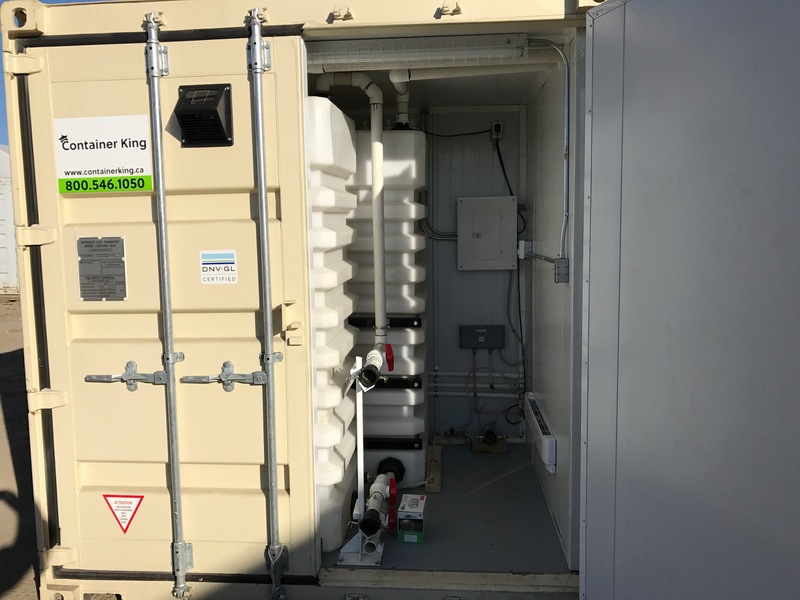 The unit also boasts a fresh water tank and black holding tank in a separate area. This unit requires a 60-amp 220-volt power source to operate properly.